JUBAIL, KSA, 8 October 2018: GSW is delighted to announce that it will be participating at ADIPEC 2018, the Abu Dhabi International Petrochemical Exhibition and Conference, held between 12 – 15 November, at the Abu Dhabi National Conference Center (ADNEC). 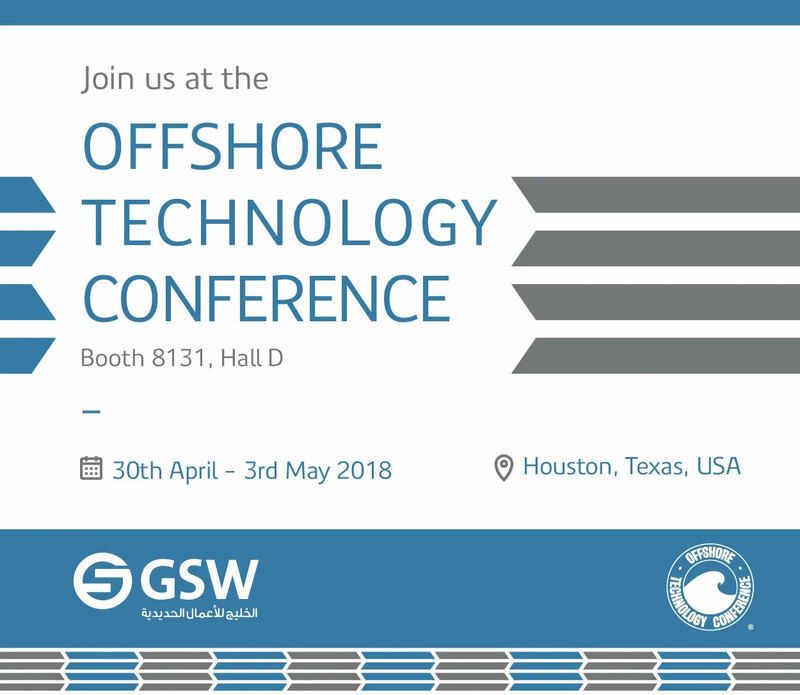 Following the success of its participation at the 2017 Offshore Technology Conference, Gulf Specialized Works is delighted to announce that it will be taking part at this year’s OTC, in Houston,Texas, between 30th April - 3rd May 2018. 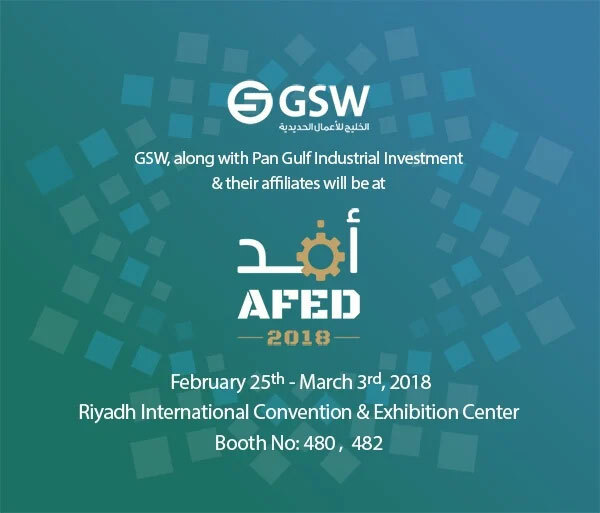 GSW is delighted to announce its participation at the Oman's Oil and Gas Exhibition and Conference OGWA 2018 in Muscat, Oman, this March. GSW is looking forward to participating in this year’s Armed Forces Exhibition for Diversity of Requirements and Capabilities (AFED), an integral part of Vision 2030. Under the patronage of his Royal Highness King Salman bin Abdul Aziz and his Royal Highness Prince Mohammed bin Salman bin Abdul Aziz, the exhibition will be held at the Riyadh International Convention & Exhibition Centre from 25th February to 3rd March 2018. The 2017 Abu Dhabi International Petroleum Exhibition and Conference (ADIPEC) is being held between 13th – 16th November. Considered one of the most significant events in the oil and gas industry’s calendar, it gathers together professionals, CEOs, Energy Ministers, analysts, investors and the Press.